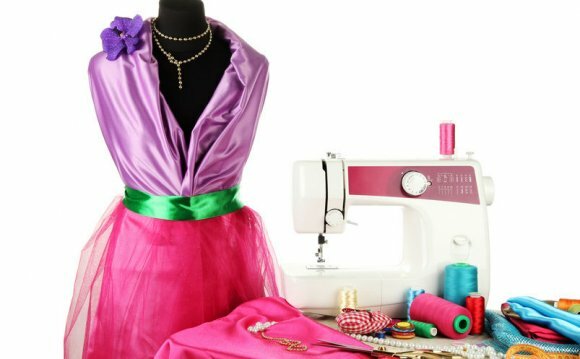 Whether you’re new to the art of dressmaking, or you’re an old hand, you’re surely well aware of the fact that good dressmaking equipment and supplies are of critical importance. Even if you’re just getting started, there is a lot of truly durable and functional dressmaking equipment available at a relatively low price point. Because good ones are pretty affordable, there’s absolutely no excuse for buying shoddy dressmaking equipment. Making good choices from the start will help you to avoid a lot of issues in the long term. Unless you want to do hundreds of hours of painstaking hand-sewing, you’re in a tough spot when it comes to dressmaking without a sewing machine and other dressmaking equipment. If you want to turn out beautiful garments, it’s critical that you pick up a few pieces of quality equipment right from the start. If you’re looking for this sort of equipment, here are a few solid tips. • Get the best sewing machine you can afford. Most modern sewing machines are pretty fully-featured. They can sew in either direction, and in any number of needle patterns. This wasn’t even fathomable on the sewing machines of yesteryear. Even though the capabilities of the modern machine far surpass those of their predecessors, their prices have come down significantly in adjusted dollars. • A good tape measure is important to getting accurate measurements. A plastic or nylon tape measure will surely get the job done, but there’s something special about a fabric or linen tape. It connects you more completely with the work you are doing, and with the generations who have done it before you. As an added bonus, linen tape measures can actually be pinned to the piece you’re working on to make sure you stay on track. They’re cheap, so if this is a trick you’ll use a lot; it never hurts to have several. • Get a pair of quality shears. Never let anyone cut any thing other than fabric with your dressmaking scissors, as this can dull them. If you’ll be working with a lot of thick fabrics or materials, serrated edges can help. Personally, I keep a pair of razor-sharp scissors on hand for silks and satins, a pair of standard shear on hand for medium-weight materials, a pair of serrated shears for leather, and (believe it or not) a pair of unused poultry scissors for really tough work (mostly to protect my other shears). This may seem like an awful lot of cutting tools to add to your dressmaking equipment, but it’s worth it. Get all of these professionally sharpened at least twice per year. • Get some chalk. Dressmaking or tailors’ chalk is the perfect implement for marking your measurements, steps, and changes as you work with fabric. Not only does it stand out boldly and stay put pretty well, it also washes out completely with a little effort. • Regular scissors have a place in the studio. As we said, you should never use your fabric shears on other materials – so what about when you’re cutting patterns or scrap paper? A pair of regular old scissors will see more use in the dressmaking studio than you might imagine. I wrap red electrical tape around the grip of mine, so that I always have a clear reminder that they are NOT for fabric, even when I’m in a hurry. • Quality thread, and LOTS of it. Nothing is worse than going to work on some detail or trim work just to find that you don’t have appropriate thread for the job. Thread needs to match the material on which it’s being used in order to fade into the background. Buying a large assortment and keeping it on hand will keep a thread shortage from costing you hours of time locating more. Buy a wide assortment of colors, in the best quality you can afford – you’ll be glad you didn’t go to the dollar store when it comes to strength and usability. • Writing utensils, straight edges, etc. You’ve got you chalk, right, so why pencils, too? You don’t want to write down measurements, take notes, or mark paper patterns with chalk, do you? Of course not. Rulers can help with measuring material on a flat surface, but more importantly, provides a straight edge, which is very useful. I like the cork-backed metal rulers – they’re durably and stay in place. These tips should get you started with your dressmaking in good stead and with all of the dressmaking equipment you’ll need!